Warning: This article may contain images that promote hate speech, including but not limited to white nationalism, racism, homophobia, sexism, discrimination against gender and promotion of violence. These views are presented as comments by the AFA and its members and do not represent the author. If you feel uncomfortable reading this article, please click here to view other articles on the site. Thank you. Kansas City seems like a beacon of light in an otherwise dark place. It's not that we're immune to racism, homophobia and the like. In fact, we have an incredibly long ways to go to reach a place of security and solidarity with our POC and LGBTQIA+ citizens. 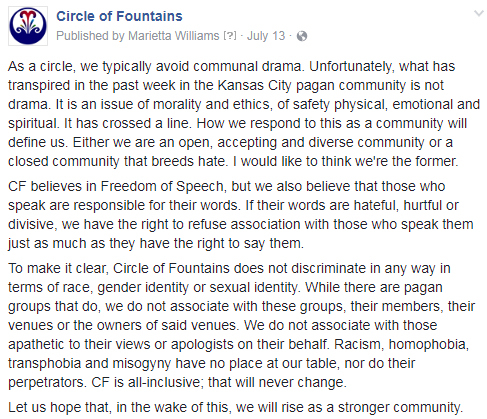 But, within the Kansas City pagan community, I've felt relatively proud to know that the majority of the members are open, welcoming and safe. They believe in inclusion and diversity, and promote unity through their events and organizations. 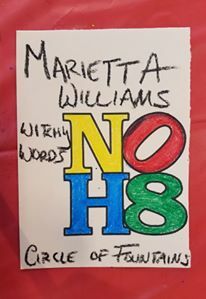 For two months, however, I have been combating racism and homophobia being brought to my community. It has taken over my time I reserve for blogging and, in the past few weeks, sleep and self-care too. I've needed to step away from social media and the ugliness inside of people but then I remember that there are people who haven't been able to escape this every single day of their lives. Seems unfair that I can just pick and choose my fights. So I've continued to fight. I have coordinated with community leaders through multiple meetings, ensuring potential venues were aware of the situation and even being interviewed by local news outlets like The Star. Yes, what is happening in my community is so disgusting that it's making headlines. Let me start from the beginning. Who exactly is Matt Flavel? He's one of the leaders of the AFA. You can see him listed on this page as a Alsherjargothi (a leader or chieftan) along with Bryan Wilton as an adviser. Essentially, Flavel and Wilton work together in leadership with the AFA. This is unsurprising because, as a folkbuilder, Wilton is essentially a recruiter for their organization. 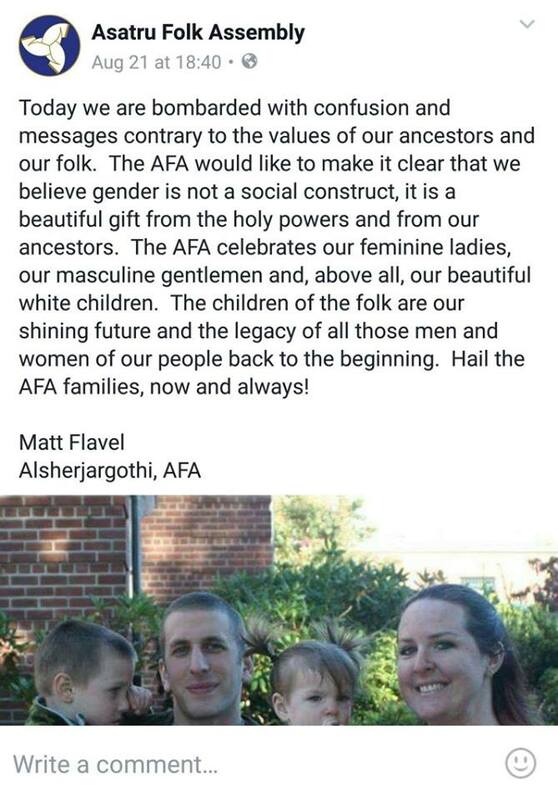 The AFA has a longstanding history of hate. They were banned from Facebook because of their hate speech. They've even been disavowed by over 170 Heathen groups as seen through Declaration 127. 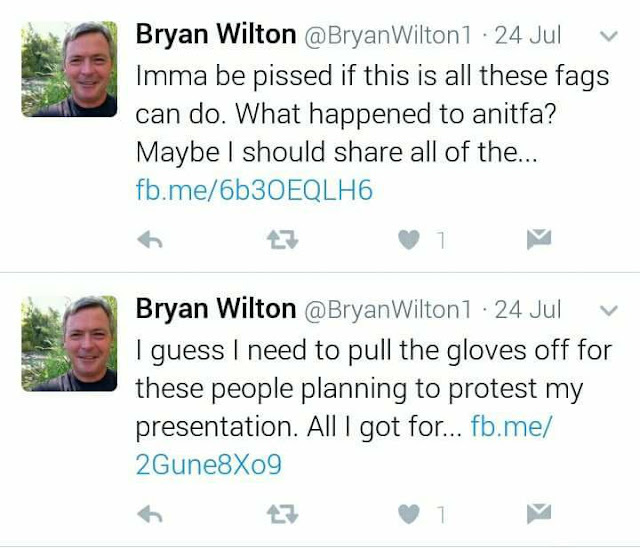 Still, Wilton refuses to distance himself from the organization and members that make clear hate remarks. This comment was made only yesterday in a long string of public exchanges I had with him. The "legitimate bills" he claims here is a bill that he states our local Aquarius Books did not pay back in April 2016. Even if the owner had not already stated that the bill was in fact paid via Paypal invoice, it was for a mere $39. Apparently, $39 is the price of POC and LGBTQIA+ to Wilton. "It's a well known fact that the military with the prettiest uniforms is always defeated," He states above. In fact, we have him on audio specifically saying "People want to say Hitler did it because he hated the Jews. Hitler did it because he loved his country." He goes on to say, "Andrew Jackson did his thing because he loved his country, wanted to see it grow, wanted to protect its borders. Native Americans will tell you something much different. It's all about perceptions." And this was his post from just yesterday in our exchange, where he clearly states that "gender is not a social construct," alienating non-binary and transgender people, as well as that the "simple set up between a man and a woman and the children they raise" is a "healthy and natural expression," which also alienates even more of the LGBT community. Persons of color and LGBTQIA+ are not allowed in the AFA. When asked about that, Wilton stated that "That's a remnant of Christianity that everyone, everyone can be involved. We can all be beautiful and happy. No, we can't." (you can watch and hear him say it at around 1:30 in the video). 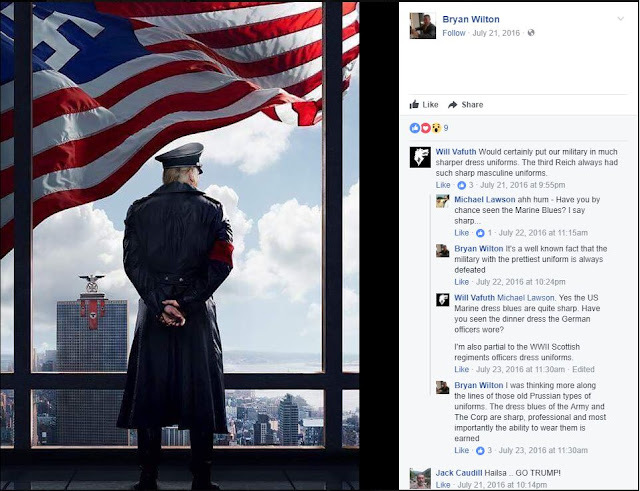 Groups like the AFA and people like Bryan Wilton use coded language to circumvent words with more obvious ideologies If a group or person is promoting purity of race and refuses to admit mixed-race or persons of color, if they are stating that gender is not a social construct and that they promote traditional family values in response to someone asking if they would accept someone LGBT, then they are clearly promoting division and hate. Angela Krout is the owner of Mojo Mamas, a shop in Independence, and the host for this event which will fund both her grove and IBSAK. Originally, this event was to be hosted at her shop but pressure from community police caused her to move it a few times. The listed event space above, Cotillion Room and Garden, was entirely blindsided by what the event truly was. It had been marketed as just a book signing with no explanation of the controversy surrounding it. And it's certainly not like Wilton not know the controversy he causes. I was one (among many) of the leaders that was in contact with Cotillion Room and Garden this past week regarding the issues at hand. I made it abundantly clear that we as a community do not blame them for being blindsided by the event, stating that we supported them in their decisions, that, should they need to proceed with hosting the event, we understood and that we simply wanted to make sure they were aware of the situation so everyone could be safe. The Cotillion Room and Garden cancelled the event based on the concerns over safety. They are not taking a political stance either way. The event has been moved to a location that is not being shared publicly and is likely on private property. 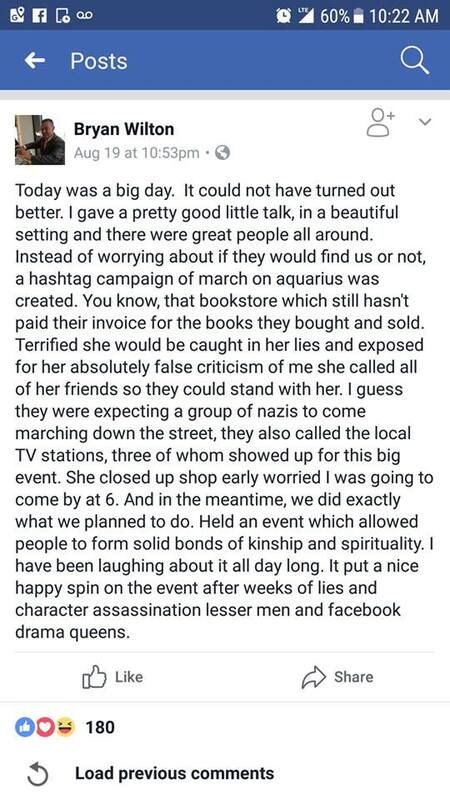 Bryan then stated on his page that he intended to make an appearance at our own Aquarius Books, the biggest store and central hub in our community. But the owner of the store refused, saying he had never talked with her and that he was not welcome there. 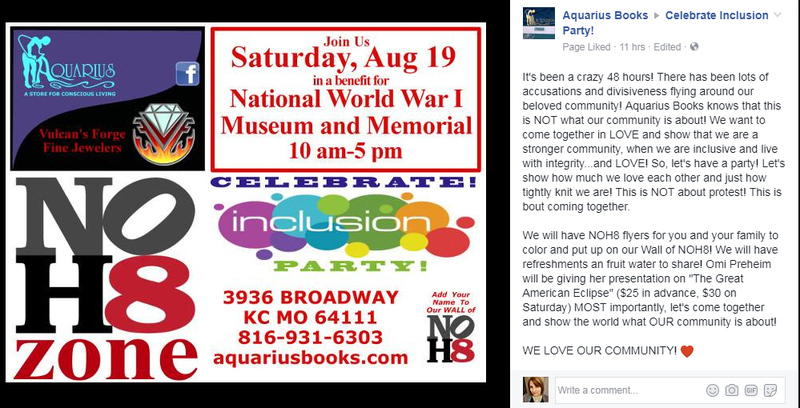 Aquarius is now hosting a NOH8 Party the day of the book signing. As for the community, the weekend that Wilton is talking - this weekend in fact - is the Ethnic Enrichment Festival. The irony could not be clearer. In conjunction with that, KCWMU is hosting a Drumming for Diversity event Sunday, August 20th at 3 pm at Hill Park in Independence, MO. 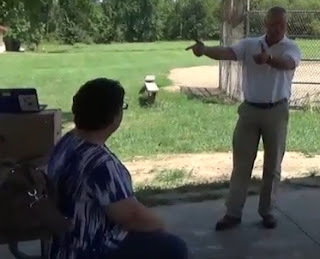 When Angela was met with yet another change of venue, she decided to take this situation public, contacting local news stations like KMBC, KCTV5, Fox 4, The Examiner and The Kansas City Star. I gave a statement to all of these stations. KMBC and Fox 4 never responded. I talked to the reporter of The Examiner on the phone, but he seemed hesitant to change the article or update it with new information. Still, I e-mailed him all of what you see in this article upon his request. 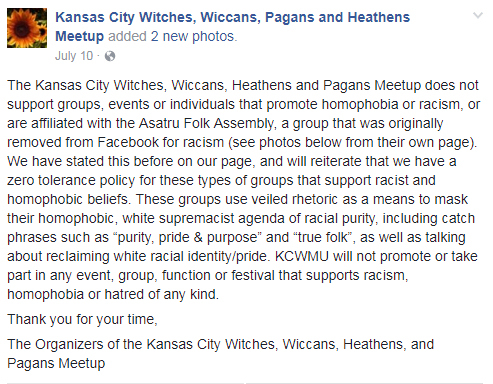 I talked with Betsy Webster on KCTV5 who took a statement from the organizer of KCWMU and did update the original article. But, from all the news sources, I had the most success with The Star. I gave a short interview by phone and e-mailed the reporter all of the compiled evidence. He updated the article to reflect it and may be writing a follow-up. You can see my interview here. I don’t believe that Angela Krout is innately racist or homophobic. I can’t. I have been friends with her in the past and have been invited to photograph her rituals - both the one for a public sabbat and one of her group's full moon rituals at the store. I want to believe, as a member of community, she promotes the same values we do: Safety, positivity, inclusion and education. The problem is that she is funding and hosting this event, and the money from this event is going back to help her, her shop and her religious group. This money is tainted by the AFA and Bryan Wilton’s presence. 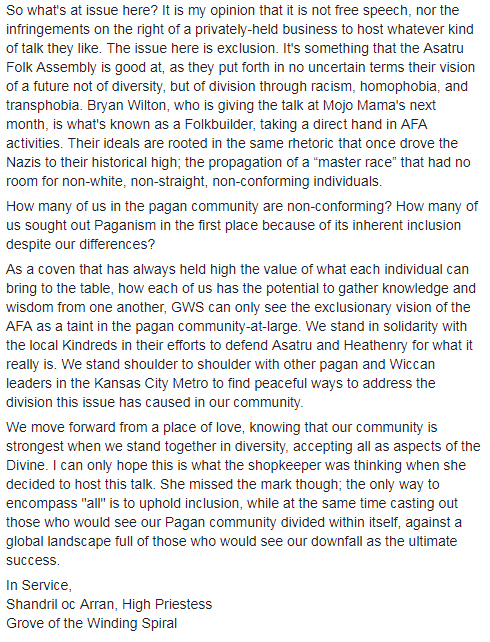 As a community, we can’t just sit idly by, so many of the local groups and their leaders have made a deliberate attempt to disconnect ourselves from her, the AFA, Bryan Wilton, IBSAK and the event. After being informed of all of this, the shop owner has continued to press forward, insisting in a live streamed video that we must have room at the table for everyone. If Angela Krout would drop the event and apologize, she would be taking the first steps towards inclusion and safety in this community. Angela Krout, Bryan Wilton and Christopher Gower from IBSAK did indeed proceed forward with his presentation - You can view a video of it here that shows Angela, Chris and Bryan together. My understanding is that this was presented on private property and was a private event where only select ticket holders were given the location. 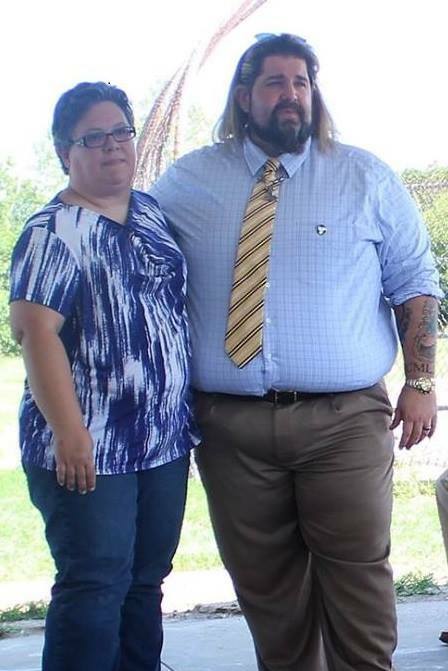 This is Angela Krout arm-in-arm with a member of Iron, Bone and Stone Asatru Kindred. Bryan Wilton asking the crowd to give Angela and IBSAK a hand for helping them to hold this meeting. 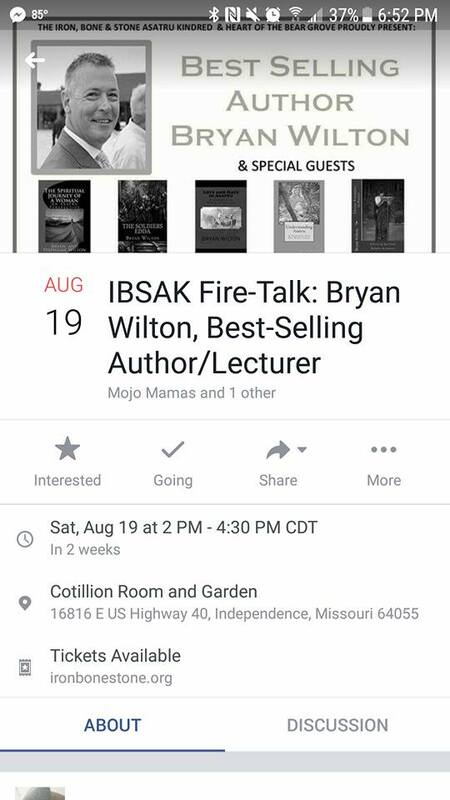 The day of the event, IBSAK threatened a March on Aquarius in response to the owner's refusal to host Wilton's book signing. Wind of this was caught by Channel 41 news and they presented a piece on that event. I spoke with them to give them more details over the phone as I was on my way out of town that day. You can watch coverage of Aquarius and the inclusion party, including the time of the march here. 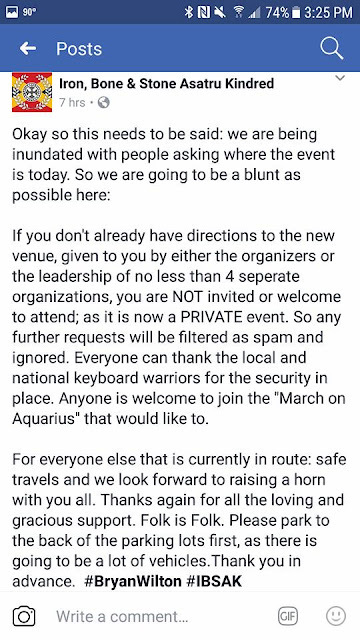 I did manage to stop at the inclusion party and support Aquarius, both financially and spiritually, before heading out of town. According to a post by Bryan Wilton, the march as a "decoy" to preoccupy community members during their gathering. I feel like, at this point, this is the conclusion of this instance of the issue within our community. This isn't to say that racism, sexism and homophobia don't still exist or will be an issue we won't have to address again and again - but Bryan Wilton has left and things have quieted down. Here's hoping that the community can rest after this troubling few months. I find this is very worrying and sad, especially as a mixed race person. It's horrible to see people using paganism to spread hatred. 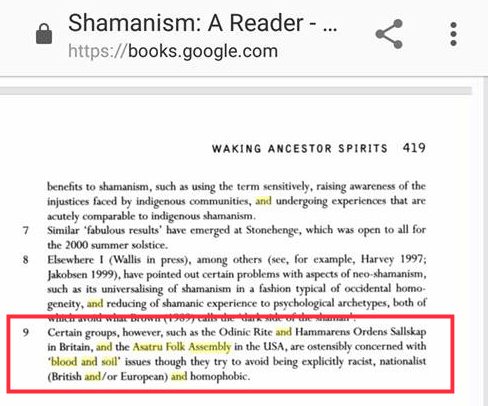 I've heard of Aastru as a religion but don't know much about it and don't think I've heard of the AFA before.I'm in the UK and just found that there is a British Aastru site. I'm not sure if they're of the same beliefs, I hope not. The site won't load right now so I couldn't view it. Thank you for making us aware. I don't believe Asatru as a whole is the problem. There's just a small sect of Asatru and Heathens that promote these ideologies. One of the key defining terms is "folk." It refers to ancestry, tribe and heritage, as in their white folk essentially. That's usually the big red flag. No problem! As a witch and not a heathen, I certainly understand how it can get confusing! I am a Pagan and Asatru for 30 years, I can assure you Asatru has NOTHING to do with the White Nationalists, Nazism, Leftist or Anti-LGBT Agenda currently spreading through America like wildfire, and most definitely not what this BW (I refuse to name him) is promoting. 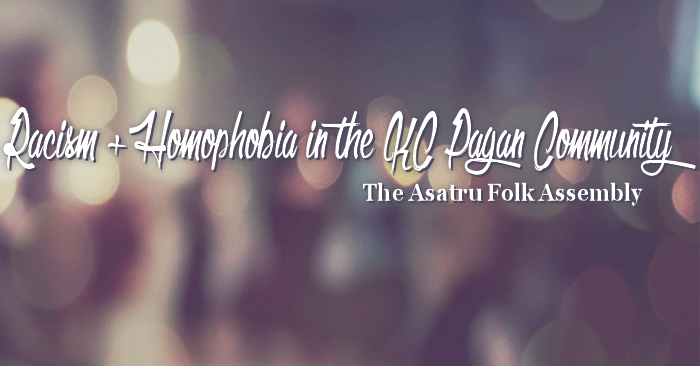 Most importantly, Asatru is not about exclusionary tactics such as racism, hatred or bigotry of any kind! Asatru is about learning the Ancient Norse Traditions that has a rich ancestry filled with amazing folklore such as The Norse Tree of Life Yggradsil, the Norse Deities such as Odin, Freya, Thor, etc., the Volva, the Nine Noble Virtues and so much more. It is NOT only for "Whites," but for anyone to hears the call of the Norse Pantheon. 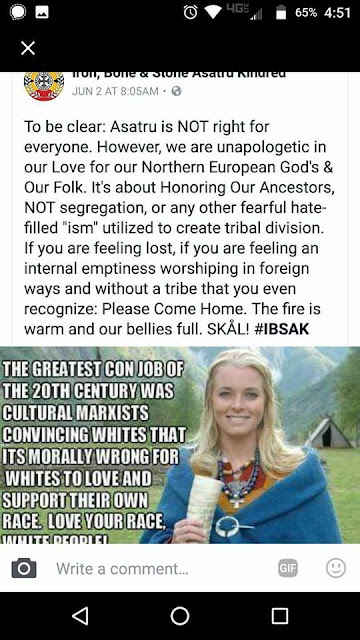 Anyone who claims it is only for "Whites" is completely misinformed as so many people are from multiple bloodlines, especially in America that are Asatru. For example, I have four (4) different bloodlines in my DNA, Irish, Scottish, Apache Indian and Mexican. My first Pantheon in Paganism was Asatru, the knowledge I learned from Asatru helped me navigate my path throughout other Pagan Pathways and to understand the connections between the different Pantheons. 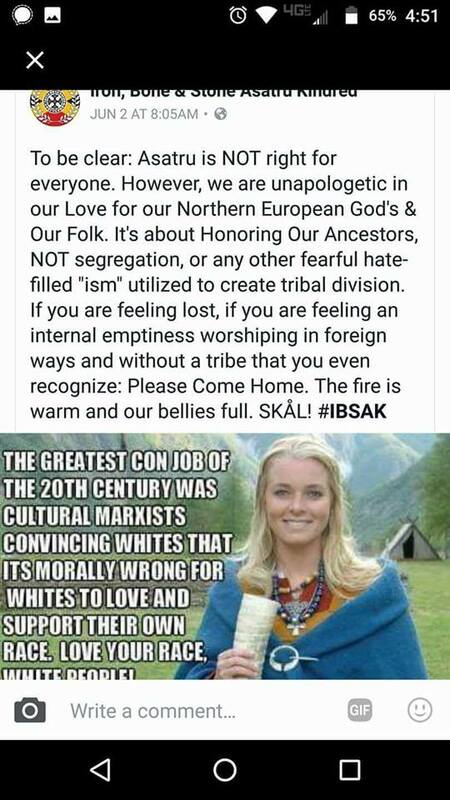 For this BW to claim Asatru is only for “Whites” does not understand how connected Asatru is to the overall umbrella of Pagan Pathways. Asatru is about learning the Nine Noble Virtues of Courage, Truth, Honour, Fidelity, Discipline, Hospitality, Industriousness, Self Reliance and Perseverance by integrating them into our daily lives as Modern Pagans. These Virtues teach us how to improve who we are as Modern Pagans by elevating our actions, deeds and words as examples of what humanity can be, not take us back to a time in history where racism, hatred and bigotry was common place. The Noble Virtues teach us, that to promote exclusionary practices such as racism, hatred or bigotry is a direct violation of them, most notably “Honour” and “Hospitality”. You cannot have “Honour,” while teaching or practicing exclusion to those of a different race or sexuality, and you cannot offer “Hospitality” to those in need, while you offer it exclusively to “Whites” or “Heterosexuals” Only! It is clear from this BW, that he does not understand the Virtues, their purpose in Asatru and how they work in Modern Paganism. As the Tree of Life Yggradsil has nine worlds filled with beings from different races, each with their own customs about sexuality, yet they all share one commonality, Yggradsil, working to promote peace in the Universe. The same can be applied to Earth with the multiple races, each with their own customs about sexuality, that share one commonality as members of the same species, working to promote peace amongst its races. Promoting any segregation version of the worlds against the other goes against to the purpose of Yggradsil. 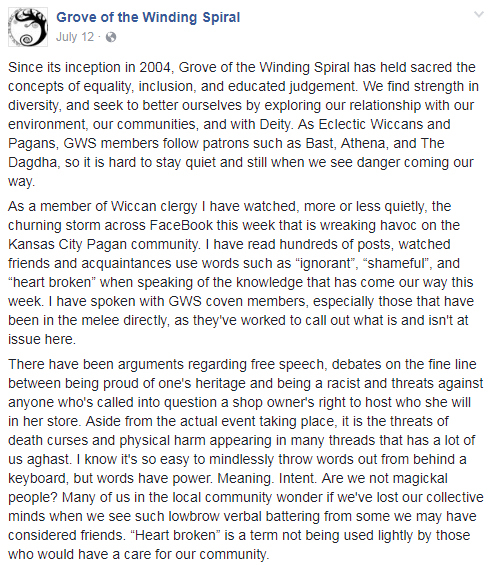 Twisting Asatru into something that is aligned with White Nationalism, Nazism, Leftists or Anti-LGBT agendas is a deliberate attempt to misinform the population over its definition. Asatru is not about “Honoring” the “white” bloodlines PERIOD, it is about honoring the Ancient Norse Religion that teaches one how to uplift themselves by integrating the Nine Noble Virtues into their being with the sole goal of improving your circle of life regardless of your bloodline. 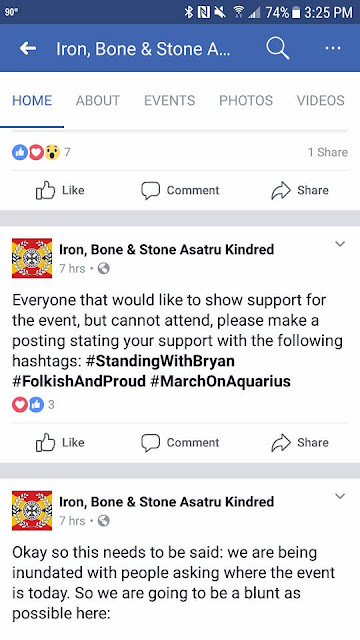 Despite BM’s attempt to twist the meaning of Asatru to promote his political agenda, it is amazing is to see the Kansas Area Pagans come together in Unity to standup to this false representation of Asatru! 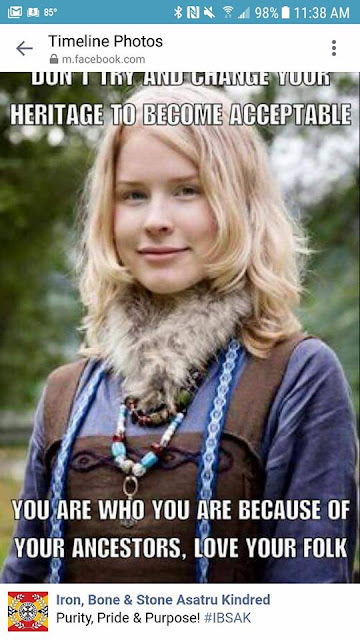 Thank you so much for your in depth explanation of Asatru, Marie! I knew Asatru as a whole wasn't the issue - in fact, when The Star misquoted me as saying "Asatru uses coded language," I quickly asked them to change it to Wilton and the AFA, which they happily did so. I'm so proud of the number of people willing to discuss this, willing to listen and taking the time to stand up! Thank you again, Marie. Wow, just wow. The images from this...person are beyond horrifying. 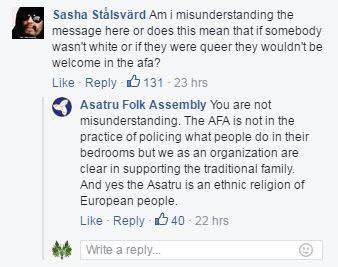 And trying to infiltrate or twist what Asatru's beliefs are is also horrifying. I truly worry for humanity. I have so many friends that are of color and varying genders I worry for their safety. Agreed on all counts, Kim. At least a larger part of the community is against such hate speech and groups. I'd say a thorough cleansing/smudging ceremony to flush that toxic energy out of your community is badly needed after such a fiasco. Humanity is out of control, it seems to be regressing to a very dark and dangerous place!